The Sentricon® System with Always Active™ Technology is scientifically designed to eliminate a subterranean termite colony and its queen. The system can be installed to both eliminate and prevent termite infestations to keep your property protected now and in the future. Sentricon® System with Always Active™ is the No. 1 brand in termite protection — because it’s the most ideal solution. 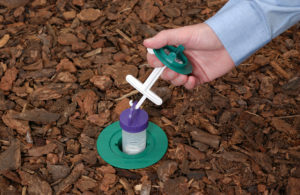 In 1995, it was the first available baiting system and is the only one that eliminates the termite threat at the source. Today, the Sentricon® System with Always Active™ continues to lead the way with technology innovations and service advancements that make it the solution you can trust. Sentricon® System is the only termite product awarded with the Presidential Green Chemistry Award. Awarded by the EPA, this award recognizes technical innovation that incorporates environmentally responsible chemistry into its design, manufacture and use. The original Sentricon® System with Always Active™ received this award based on its low impact on human health, low toxicity to nontarget organisms and low potential for groundwater contamination. Additionally, it was registered under the U.S. EPA Reduced Risk Pesticide Initiative. Homeowners appreciate that Sentricon® System with Always Active™ is available only through qualified Certified Sentricon Specialists™, ensuring them of expertise and quality assurance. Certified Sentricon Specialists™ receive ongoing training, education and support from Sentricon to keep them the leaders in termite protection. Your first step is having a Certified Sentricon Specialist™ inspect your property for signs of termites. Are you eliminating a current colony or preventing a future one? Sentricon® System with Always Active™ can help you with either, or both. SENTRICON® SYSTEM IS INSTALLED AROUND YOUR HOME. Stations are placed around your home, and with our Always Active™ Technology, the Recruit® HD Termite Bait is available to begin working immediately. The stations are placed in the ground with only a service cover visible, and require a special key to open. YOUR HOME IS PROTECTED 24/7 FROM ANY FUTURE INFESTATIONS. 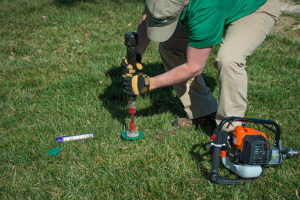 Check out the video to see how the Recruit® HD Termite Bait is removed from a Sentricon station in the ground with active termites. Give us a call or send us a message to schedule your free termite estimate.